Part of the UNESCO World Natural Heritage Sites since 2009, the Pale Mountains enchant with bizarre rock formations. 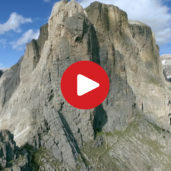 The Sellastock massif is situated between the Alta Badia and Val Gardena valleys. It is characterised by its steep cliffs and its high plateau, a paradise for geologists and scientists. 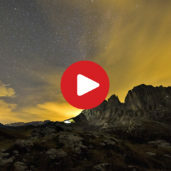 We spent a night in the surroundings of the Sellastock massif and captured the mood in this time-lapse video. We’ve spent a whole night under the Sella Towers to catch these fascinating images of the sky above the Sassolungo Group. 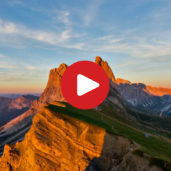 On discovery journey in the Val Gardena, one of the most beautiful places of South Tyrol, together with the photographer of the Italian politician and former president Sandro Pertini. 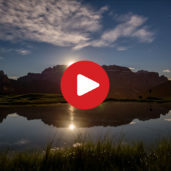 Skiing, hikes, nature parks, peace and serenity, a stunning natural beauty, legends and tales - countless images come to our minds when thinking about the Dolomites. The famous Three Peaks of Lavaredo date back some 200 millions of years and the mountains of the Dolomites arouse 40 millions of years ago. The pale Dolomite limestone gave these Pale Mountains their name. And still today, valuable fossils may be found on the high peaks.